Hi folks — Greg Gbur aka “Dr. SkySkull” here! Michele couldn’t be here for Science Caturday this week and she asked me to fill in. 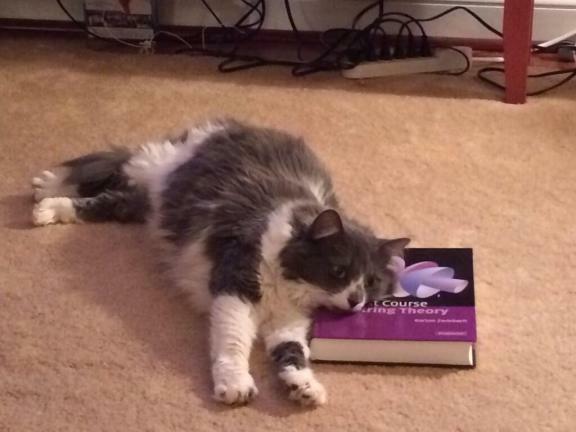 My wife and I have a lot of cats at home, who are of course all scientists in training, so I thought I’d share a few of their research interests. First up is Rascal, one of our youngest cats at about 3 years old. He recently showed interest in a “simple electric train” that you can built with magnets, a battery, and coiled copper wire. A video demonstration of this effect has been making the rounds recently, and I just wrote a blog post explaining the physics of it. Next up is Fluff, who is about the same age as Rascal but is not related. We went on a “kitten-adopting frenzy” around that time! 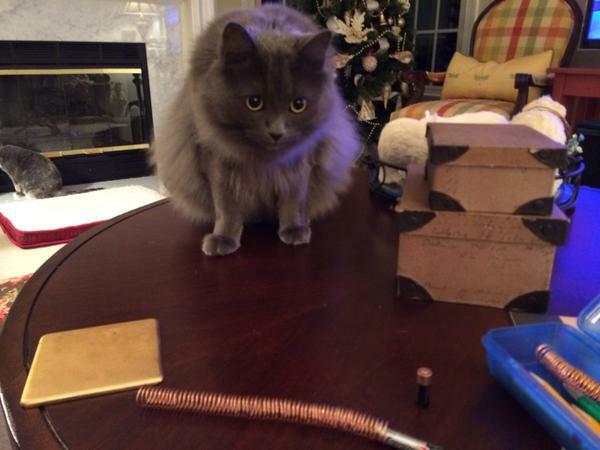 Fluff has shown great interest in magnetic levitation, though in the end of his research he decided that he hates it. And terra-cotta warriors. These little platforms are fun to play with and can be ordered online. They use time-varying magnetic fields to stably levitate the platform, in a manner similar to that of maglev trains. …but, like me, grew fascinated by pretty lights! 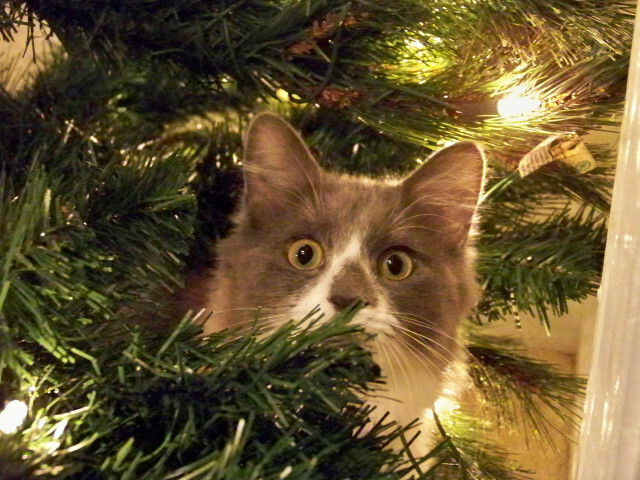 Christmas trees tend to do that to cats. I could go on, but I think you can see the point! Have a happy holiday season, everyone!